I blogged a few weeks ago about the 2017 Cape Cod Teen Writers Conference, and I'm happy to announce that registration is full...it's going to be a great week! And I'm excited to be part of the panel of YA Authors coming together Friday evening to share our experiences in writing and publishing, discuss our books, and answer questions. We'll all have books for sale--signed and personalized for readers, of course--as well as plenty of swag! 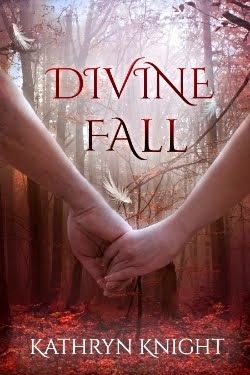 Since it's a YA Panel, I'll be highlighting my Young Adult novel, DIVINE FALL, a paranormal romance filled with forbidden first love and supernatural secrets. But I'll also have my other titles available for purchase as well, as we expect readers and writers of all ages to attend. And the best part? It's free! So come meet 12 YA Authors and find some new characters to spend time with this summer! Some very popular names in YA fiction will be there; the panel consists of: Amy Ewing, Emily Ross, Huntley Fitzpatrick, Kristy Acevedo, Hillary Monahan/Eva Darrows, Meg Kassel, Michael Bailey, Alex Lidell, Katie Bayerl, Kim Savage, and the conference organizer, K.R. Conway. Oh, and me! As a group, we write in a variety of genres within YA, including romance, horror, fantasy, dystopian, and combinations of all of the above. Author Night is Friday, August 4th, from 6 to 8 pm at Barnstable United Elementary School in Marstons Mills. More info can be found on the website, here. 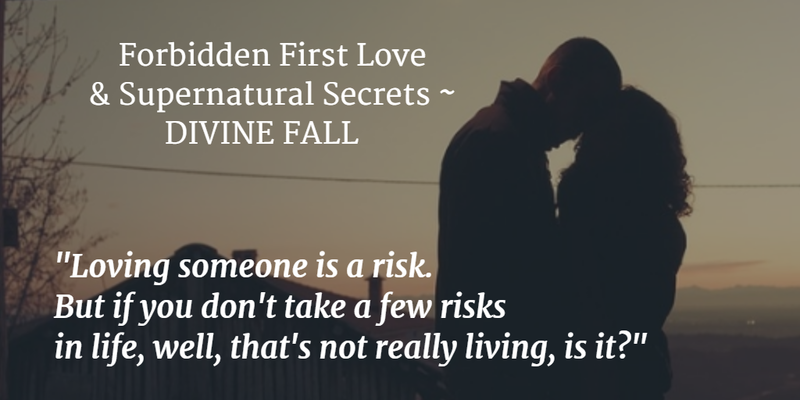 but will he risk hers? A few weeks ago, I went into our bank, Cape Cod 5, to set up a new account for a high school reunion I'm planning (the 5th one I've done, and no, I wasn't an officer, I'm just apparently a glutton for punishment), and I noticed the table in the lobby had a display set up for a new salon opening in the Mashpee Commons, the quaint shopping center where the bank is located. At the time, I thought, "How nice for the bank to help promote the new shop," and I grabbed a little bag of sample products on my way out. The next time I went back in, there was a new display for a different local business, and it clicked for me that the salon promotion wasn't simply part of a temporary shout-out for a new store--different businesses were being featured every few weeks. So my mind immediately went to a program I participated in last year, at the bank my husband's office uses in Falmouth, the next town over. That bank, Rockland Trust, decided to dedicate space to summer reading and highlight local authors, and they displayed my novels for a week, sold copies, and had me in for a signing on the last day, which was great fun and well attended. Actually selling products (my novels) is different from displaying signs and offering samples and coupons, but I decided it didn't hurt to ask Cape Cod 5 if they'd consider promoting my local "business"...it never hurts to ask, right? They said absolutely, and were happy to offer me TWO weeks of displaying my novels and accepting payment for any sales made. This is a fantastic opportunity to increase my visibility--even if people just take postcards or business cards, now potential readers who may enjoy my stories know they are out there! If you're visiting Cape Cod from June 24th through August 5th, stop by the Cape Cod 5 in Mashpee Commons and pick up a signed book! The address is 10 North Market Street, and the "Commons" is a destination in and of itself, filled with familiar shops, unique boutiques, and wonderful restaurants. 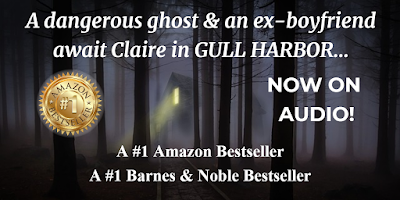 Then grab a beach read (for something set on Cape Cod, try #1 Amazon Bestseller GULL HARBOR or my new release HAUNTED SOULS, both steamy romances mixed with ghost mysteries), put up your feet, and get pulled into a page-turning story! 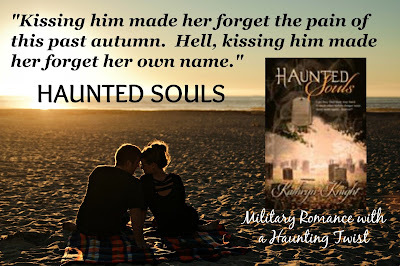 A fabulous new review for Haunted Souls at Kam's Place! 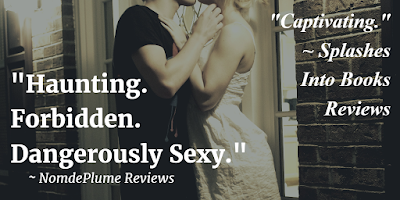 It's always exciting to have a new review, and especially so when the reviewer loved the story! 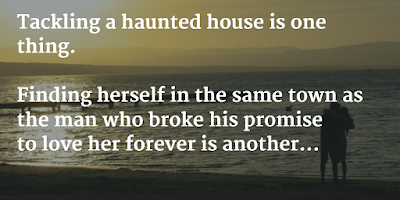 I've quoted some of my favorite lines from the review below, but you can check out her full review of this steamy romance/ghost mystery here, along with two excerpts from the book and some info about the haunting setting. "Poor Josiah, his story was just as touching as Brett's backstory, and his was extremely moving." 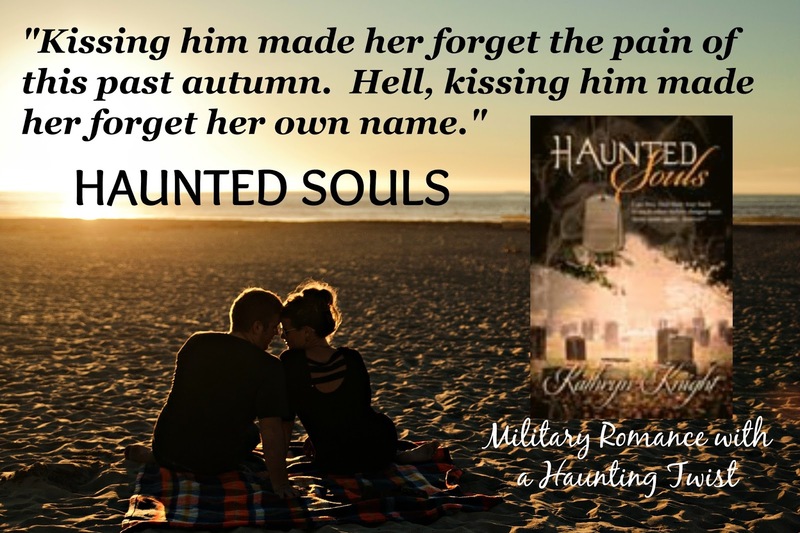 "I'm impressed with how well Kathryn depicted the struggle for a soldier to keep the wartime demons at bay while rejoining life on US soil." 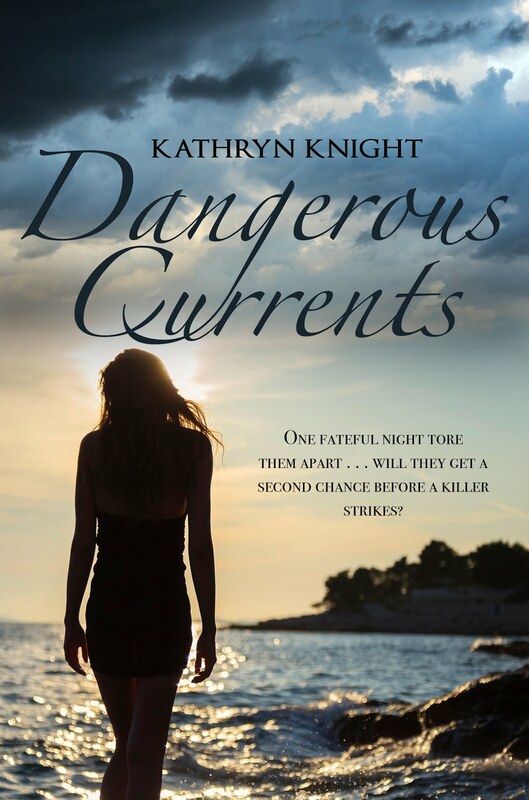 "Kathryn didn't falter on the sensual moments..."
"A beautiful story about being reunited with a loved one and achieving internal peace." 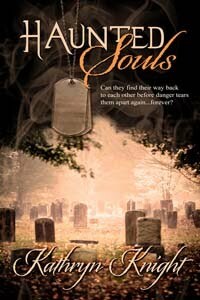 AND...the Kindle price of Haunted Souls has recently been dropped! Grab your copy for your next beach read! Exciting news! 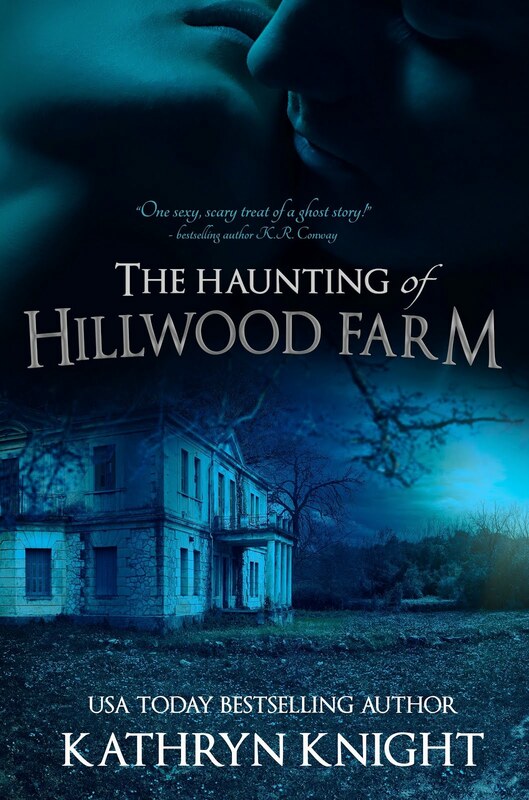 HAUNTED SOULS is now a year old this summer--hard to believe--and that makes it eligible for a price drop by my publisher! The Kindle price is now $3.99, down from $5.99, a bargain for hours of entertainment. 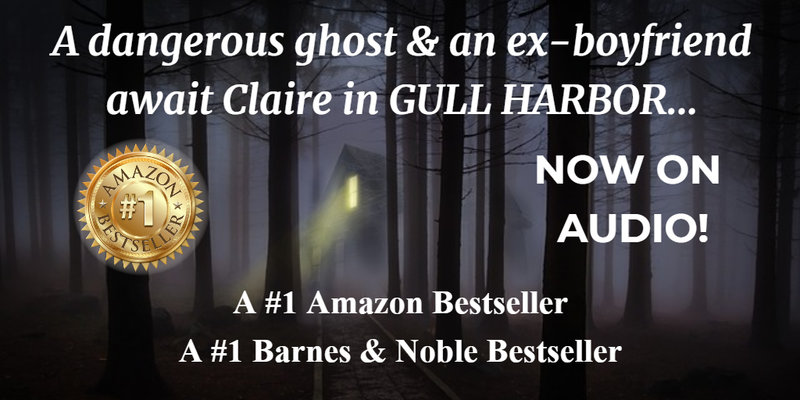 This is a steamy romance with a ghost mystery subplot, set on Cape Cod and inspired by the (haunted) Old Jail in Barnstable Village. Reviews have been fantastic, and this title came in second last year in Read Free.ly's Top Reads of 2016...out of 100 entries! 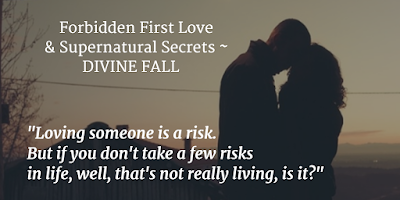 So grab a copy at the new lower price, put your feet up, and get pulled into a page-turning story, "packed with angst, turmoil, danger, and romance" (Splashes Into Books Reviews). Happy Reading! 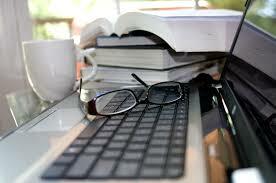 The first annual Cape Cod Teen Writers Conference is coming up! Aspiring young writers can sign up this year for FREE, thanks to the generosity of Marstons Mills library, Barnstable Public Schools, and Titcomb's Bookshop, and organized by my friend and local author (and instructor) K.R. Conway. More information can be found at the link below, as well as links to register. The conference is open to writers between the ages of 13 and 19 and runs from July 31st to August 4th, from nine to noon daily. On the final day, a YA Author Panel is scheduled for the evening, with 11 authors of Young Adult novels answering questions, signing books, and chatting with attendees...and this is open to ALL age groups, again for free. 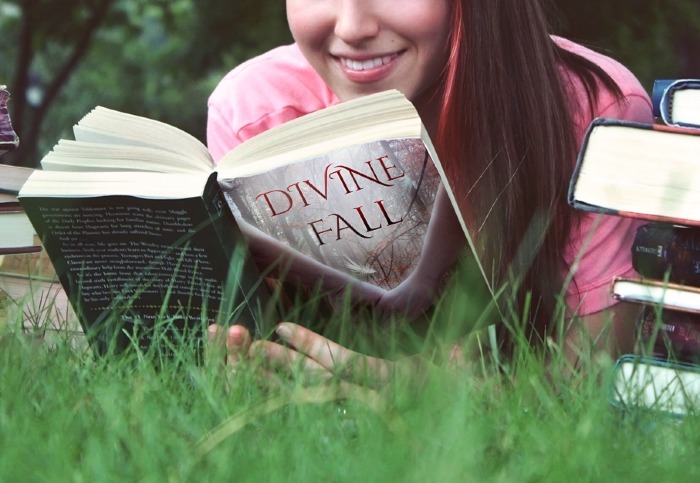 I'm thrilled to be part of the panel, and I'll have copies of my YA Paranormal Romance DIVINE FALL, winner of The Romance Review's 2015 Readers' Choice Award in YA Romance, as well as one of the five Finalists for the coveted Reader's Crown Award from RomCon in 2015. 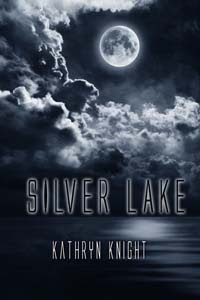 My other titles, which have older protagonists and combine steamy romance with ghost mysteries, will also be available for signing and purchase. No registration is necessary to come to the Author Panel, so feel free to come visit with us on Friday, August 4th, from 6:00 - 8:00 p.m., at Barnstable United School, 720 Osterville-West Barnstable Road, in Marstons Mills. His arm curled around her shoulders. “Claire, I am so sorry I hurt you,” he said, his voice ragged with emotion. His other hand stroked her hair, and she stayed in his embrace while she battled back the tears. She focused on the comforting thud of his heartbeat as he ran his fingers through her loose curls. “I missed you this week,” he murmured. His breath in her ear sent a delicious shiver through her body. She couldn’t resist this anymore. She didn’t want to. “I missed you too,” she admitted, turning her face up to his. 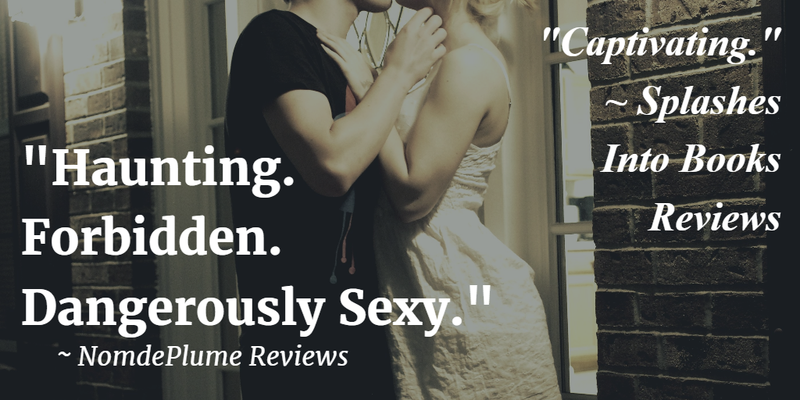 He brushed his lips against hers tentatively, and a moment of exquisite anticipation spun out between them. 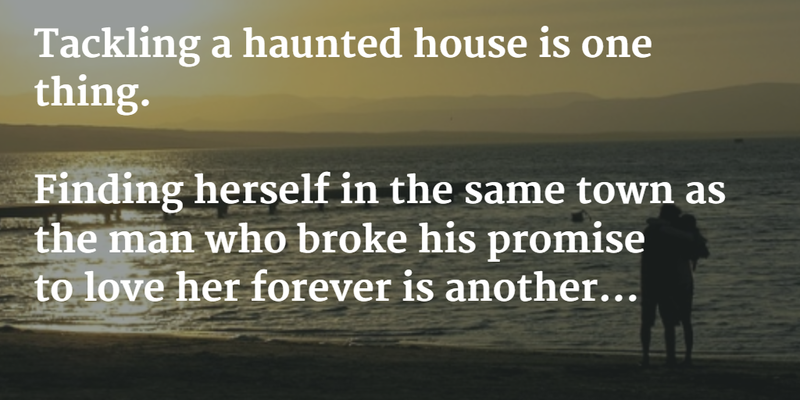 Then his mouth captured hers in a bruising kiss that sought to make up for the years they’d been apart. 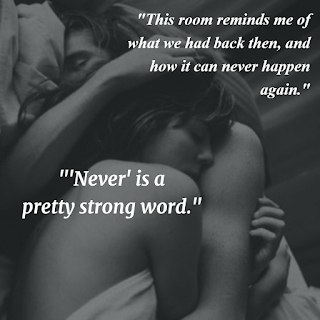 She returned his fierce kisses, moaning as their lips and tongues met with frightening urgency. A tiny voice inside her head whispered a warning, reminding her that he still hadn’t explained why he’d left her that way. She shoved it aside. She didn’t need explanations, she needed him. On her, inside her, filling every space. Wrapping her arms around his neck, she clung to him as he lowered her onto the bed. Every nerve in her body burned for him, and she arched her back to rub her hips against the solid length of his erection. His hand slipped under the hem of her skirt, and his rough fingertips left a trail of fire as they traveled up her thigh. Her own hands explored the ridges of muscle under the smooth skin of his back. She kissed his neck, tasting the salty sweat from the day’s heat. right after they return home from July 4th fireworks. More fireworks ahead! 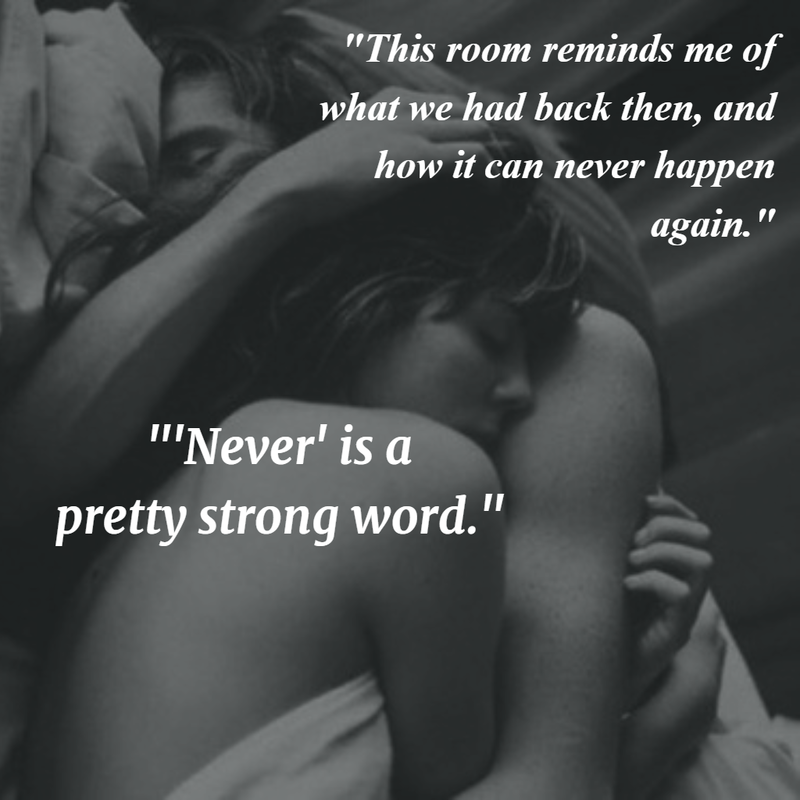 Want to keep reading Claire and Max's story? Here are some links! 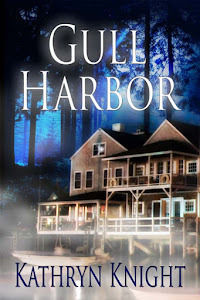 --> Gull Harbor is available on Audible now too!